That is really, really scary timing. I just put this on my wishlist a few days back, wondering whether it would ever come to our platform. Great news. This has made my day! Great news. The sad thing with this game is that it works PERFECTLY under WINE, so many Linux gamers like myself already play it and we get counted as "Windows" players. Hurray! I just spotted that it had been released for Mac, and it made me think that Subset Games could be lining up for us next. TemplarGR Great news. The sad thing with this game is that it works PERFECTLY under WINE, so many Linux gamers like myself already play it and we get counted as "Windows" players. That is sad. What could you do differently to help with that situation?? Only joking! I completely understand that Linux-only gaming is a pretty big sacrifice. And I'm being hypocritical, since although I'm Linux-only for PC gaming, I do still occasionally buy a game for the PS4. That said, the spend ratio is about 200 to 1 (at least!) in favour of Linux-games (only one purchase in the past year on the PS4 - a half price deal on Horizon Zero Dawn). But I get how hard it is for some people to give up their Windows games. I will buy it as soon as it is out for Linux. No Windows here (my last Windows was XP). I consider buying a new game which is only available for Windows but currently runs via Wine as too risky. Any new game update might break it on Wine. No thanks. So for new games I only buy native Linux versions. Yeah I also could not wait and it worked perfect under wine -___- I will leave a review or something saying that I love the linux version anyhow. Oh yes, waiting patiently for this game since they said, they'll create a Linux version, but after the initial release, as it was pretty tough with FTL for the small team to release on all platforms simultaniously. Nevertheless... on the one hand we can be lucky to get great titles like this for our platform. On the other hand though, we mostly have to hope and to wait. Sometimes even years. I hope there will be a time in the near future, where we don't have to hope for a Linux version and get it on day 1 for every new game. Meanwhile we have to actively contact devs and publishers and show them there is a demand to have their game on our favorite operating system. 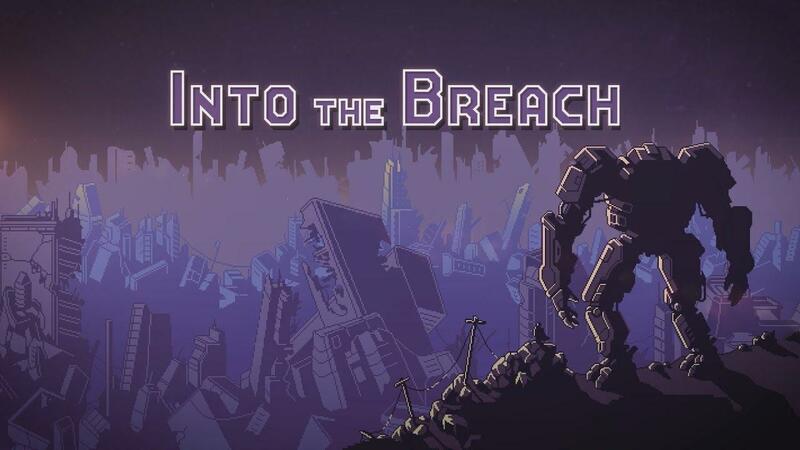 Looking forward to play Into the Breach natively on Linux soon! Was wondering if I should buy it or not. Will surely wait ‘till then. I don't judge that as hypocritical. A PC is much more than just a gaming device. I/We have decided not to use Windows, even for gaming. Using a GNU/Linux desktop fulfills the Windows avoidance and PC gaming gets somewhat sacrificed. Now, the PS4 is only a gaming & entertainment system. There are plenty of games that are on PS4 that aren't on Windows and games that are on Linux that aren't on PS4.